People illegally using or possessing firearms will face jail terms of up to ten years and fines of up to K10,000 under strict new laws to be presented to Parliament in April. 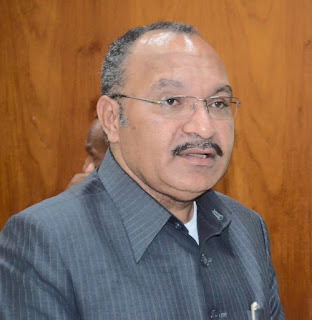 The Prime Minister, Peter O’Neill CMG MP, has announced that the National Executive Council has formally endorsed amendments to the Firearms Act that will increase penalties for offenders, and will work with the Government’s commitment to modernise the Royal Papua New Guinea Constabulary. In making the announcement, the Prime Minister said there is no excuse for the illegal use of firearms, so criminals caught with weapons will be sentenced to long periods in jail and pay a significant amount of money in fines. “I am sick and tired of reports of people illegally using weapons who are not sent to jail,” the Prime Minister said. “This is not good enough for our families and our communities, so under the changes the law will get tough on weapons offenders. “The illegal firing of a gun, dealing in illegal weapons, or making homemade guns will attract a range of penalties of between one and ten years in jail, and fines of up to K10,000. “Papua New Guinea, and countries around the world, face similar problems with the illegal use of weapons, and we must take action to stop the criminals. “Our Government earlier directed an audit of penalties, and the recommendations are that we must create real deterrents to the illegal use of firearms. “So when the amendments to the Firearms Act are passed into law by the Parliament, anyone holding an illegal gun, or anyone who knows about an illegal weapon, better be ready for serious jail time when they are caught. PM O’Neill said the review of Firearms Act is also inline with the Government’s program to modernise the Royal Papua New Guinea Constabulary. “A review of the entire police force is underway that will deliver recommendations for NEC to consider. “This review goes to core elements of policing, including command and control, training and organisational structures. “Reforming the RPNGC is a significant task, surrounded by multiple challenges, and we are starting with the basics. “We have committed and capable officers in the police, and we must empower these personnel and move aside those who do not make a contribution."